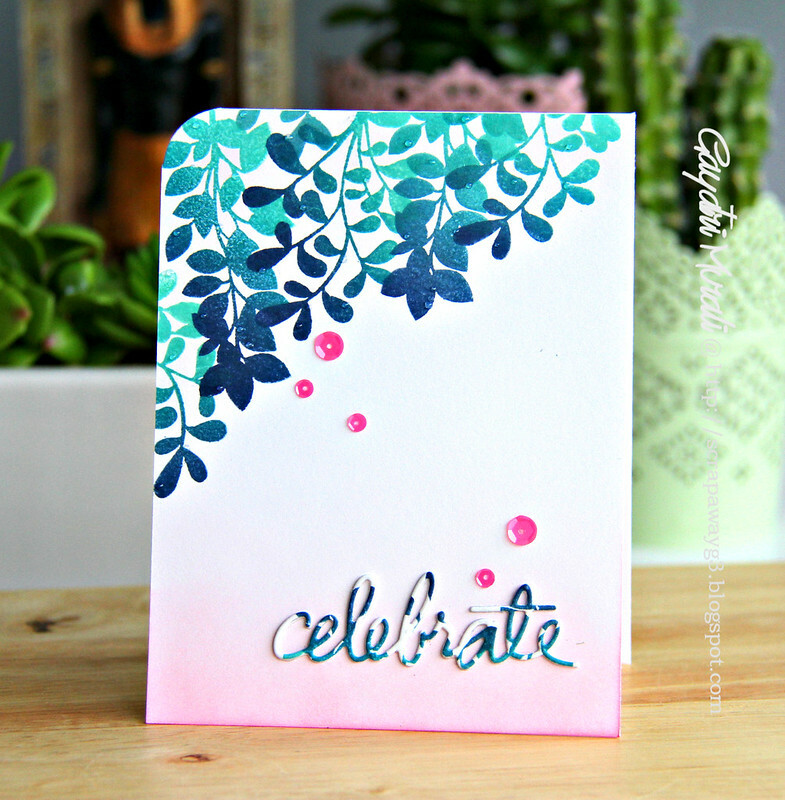 Playing Mix it Up Challenge From Ellen Hutson! So glad you have joined me today at my blog. Hope you have having a great weekend especially my dear American friends who celebrated 4th of July American Day! I had an amazing weekend. Saturday was busy with cooking marathon and then hosting dinner party. Sunday has been quiet and relaxing with nothing much to do. So I caught up on my design team work and also couple of challenges. 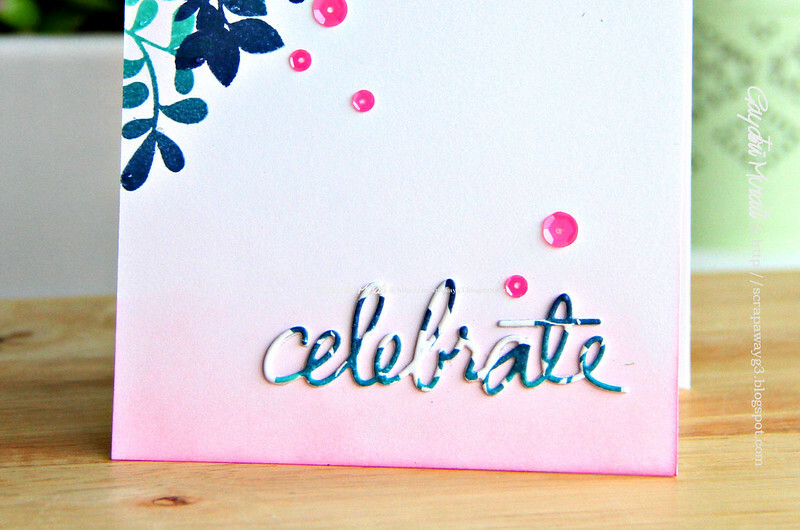 One of the challenges I played along is Ellen Hutson’s Mix It Up Challenge. 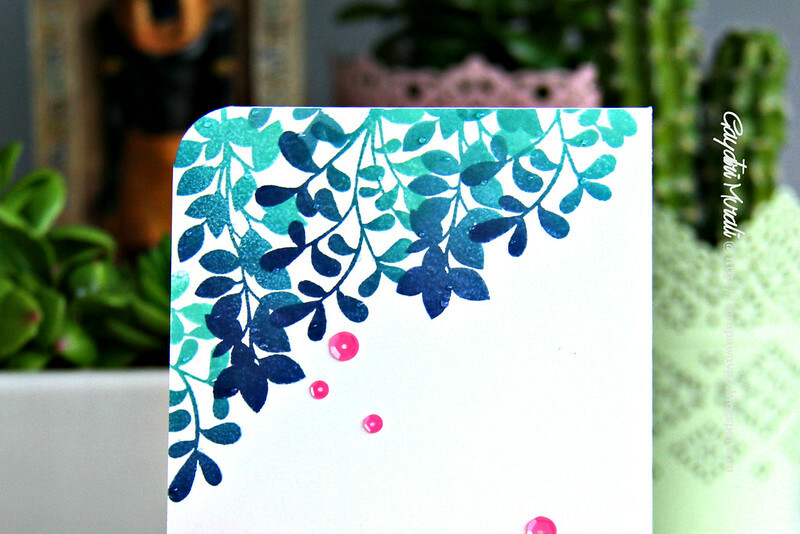 This month it is the fabulous Paper Smooches that they are mixing up with. Here is my card mixing Essentials By Ellen and Paper Smooches. Thanks again for visiting my blog today! Amazing card, Gayatri, love it! Lovely card!! I also love the use of this ombré ink pads. Beautiful work with the sentiment! !